Bulbing Iris (Iris bulbeux): growing, planting, caring. This description is for bulbing iris - as opposed to creeping - or rhizomatous - irises. Bulbing iris are beardless - and bloom from February through July. There are 3 groups : 'junos’ - Bulbing Juno Iris, subgenus Scorpiris - one of the more popular bulb irises in cultivation, generally earliest to bloom. Bulbing European Iris, subgenus Xiphium which are generally of European descent, with Iris reticulata and Iris persica, fragrant and popular with florists, or Iris xiphium and Iris latifolia, with very showy flowers. 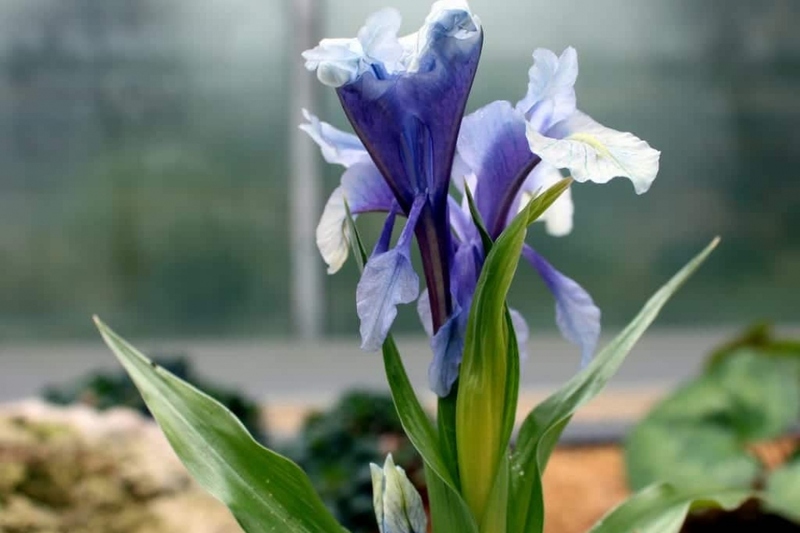 They are among the hardier bulbous irises, and easy to grow in colder climates. Bulbing Reticulate Iris, subgenus Hermodactyloides, with their characteristic bulbs, popular spring bulbs and among the first to bloom in the garden.